Please note: Not compatible with Hatch Embroidery Basics or Organizer. Eligible for upgrades? Eligible for upgrades? Eligible for upgrades? beautiful fonts - i absolutely love them - they will make just about any design beautiful. A must have add on! Hatch Embroidery customer? 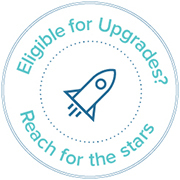 You may be eligible for special upgrade pricing. 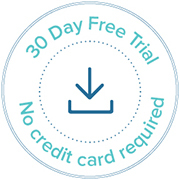 Choose Organizer, Personalizer, Composer or Digitizer each time you use the trial. 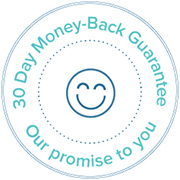 Love Hatch Embroidery within 30 days or get your money back. Buy today with confidence! "The learning curve was gentle and the results were AMAZING!! With Hatch, creativity has no end!" "Hatch Embroidery truly is the greatest and easiest to use design software I have ever come across!" "I was new to embroidery and had a very difficult time maneuvering around in other softwares, Hatch made it so easy to understand, that even a newbee like I was could understand and operate it. Hatch consistently updates the software keeping me up to date on the newest innovations to embroidery digitizing!" "I can lovingly put my thoughts down in stitches through a very easy to use well supported program."